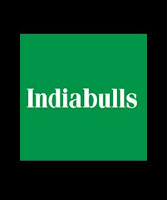 Indiabulls Power Limited (IPL) is a subsidiary of Indiabulls Real Estate Limited. IBPL has been established with the objective to develop, construct and operate power projects. IPL is currently executing five coal based power projects totalling 6,615 MW generation capacities. The company proposes to set up power plants in Maharashtra (Amravati and Nashik) and Chhattisgarh (Bhaiyathan). The management has indicated that the first power plant would be commissioned at Nashik in 2011-12. The proceeds of the proposed IPO are expected to part finance the construction and development of the 1,320 MW Amravati Power Project Phase I, fund equity contribution in the company’s wholly owned subsidiary to part finance the construction and development of 1,335 MW Nashik Power Project, apart from general corporate purposes. In a report on the IPO, CRISIL Research highlighted the risks inherent in completing and commissioning the relatively large projects under execution, and the fact that this is a completely new sector of exposure for the group. Power generation companies in India will significantly depend on State Electricity Boards (SEBs) for the off take over the long term, and will have to manage the related credit risks. Constrained capacity of the transmission facility for power evacuation is another risk factor. In another evaluation, Sykes & Ray Equities pointed that IPL does not have any installed capacity as of date. It will develop only two projects (Amravati phase I and II) out of the proposed five and will rely on its subsidiaries to develop the remaining three projects, to generate earnings. The total estimated cost for the projects under development is Rs31052.4 crore. IPL plans to finance 75% of the projects through debt. The company’s ability to meet its debt obligations and repay its future outstanding borrowings will depend upon the cash flow generated by its business over time. There is an income tax provision that allows companies, which commence operations related to power generation 100% deduction in profits provided they commence before 31 March, 2011. The current date of commencement for IPL is after this date. If the government doesn’t extend the date, then IPL stands at a significant disadvantage to other power players. Power projects have long gestation periods due to the process involved in commissioning them. Such projects may require months or even years to generate cash flows after commencing operations. CRISIL has graded the proposed initial public offer (IPO) of IPL three on five (3/5). Grading assigned reflects CRISIL Research’s view that the current power deficit scenario together with the outlook for sustained domestic economic growth presents a positive outlook for the power sector. This will benefit companies like Indiabulls Power who are setting up large generation capacities. The grading also indicates the group’s good financial flexibility, strong fund raising ability, and the group management’s successful track record in other businesses. However, Sykes & Ray finds it difficult to evaluate the company in terms of its earnings and financials.